The 2015 BCBIA Cocktail Fundraising Gala was held on February 5th at the Winsor Gallery. Thank you to everyone who was able to attend and support the brain injury community of British Columbia. 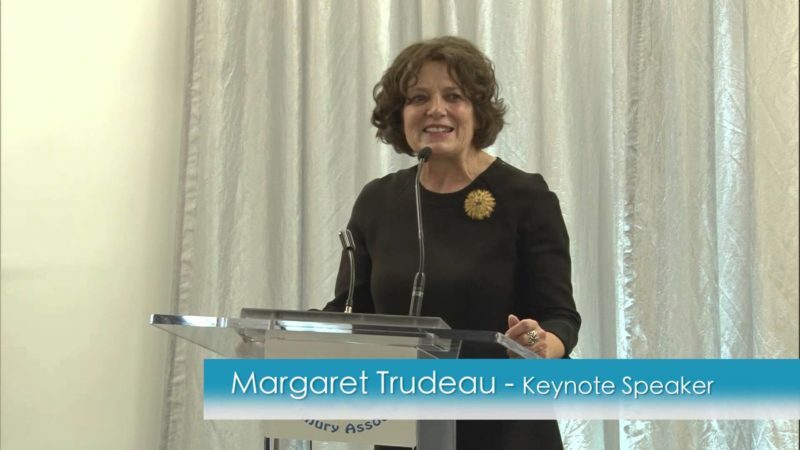 Margaret Trudeau was an entertaining guest speaker; she shared some of her life story from being a prime minister’s wife to her journey of acceptance and recovery from bipolar disorder. An amazing example of courage and strength, Ellie Ennas shared her inspirational story about living with a brain injury. Fred Lee, from CBC Radio One’s The Early Edition, was our auctioneer for the fantastic prizes on offer. Patti Flaherty, BCBIA President, Liz Baron, BCBIA Secretary & Gala Co-Chair, and Susanne Sherwood, Gala Co-Chair, thanked people for attending and encouraged everyone to participate in the fundraising activities.